You may have heard about a “trend” in management, organizational strategy, recruiting and human resources called “T-Shaped People”? It’s not really a new concept since I found an article on it published in The Guardian in 1991, but in recent years with all the down/right-sizing in America, it’s resurfaced. I keep reading how businesses are seeking “T-Shaped” employees; those with broad experience (represented by the horizontal line in a “T”) plus a deep expertise in their field/discipline (represented by the “T’s” vertical stroke). Apparently, it’s advisable to be both a “generalist” AND “specialist” in today’s rapidly changing economy. 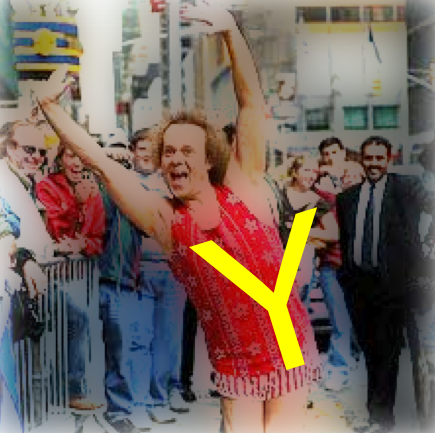 Another friend at my dinner piped up, “I’m a ‘Y-Shaped Person’ because all of my experience leads to something’, referring to the implied direction of the “V” shape at the top of the “Y”. He continued, “What good are different experiences if they’re irrelevant to my profession? Who cares if I have diverse experiences, such as working in a circus and bartending school, if they’re not meaningful to my career in telecommunications?” He had a point. Hmm, “Isn’t a “J” a souped-up “T”? 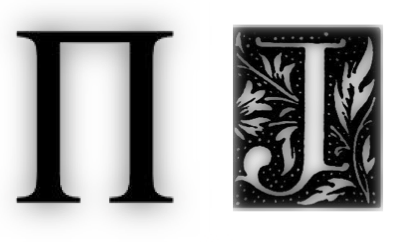 Same horizontal and vertical strokes, but I see the up-swing of the “J” being a metaphor for “vision” or “innovation”… so then, isn’t a “J-Shaped Person” better than a “T-shaped” because a “J” ALSO implies that the person has a sense of curiosity and exploration? But, are “experience”, “expertise” and “exploration” enough in today’s economy and culture? Nope. People (workers) today also need to be able to execute. As they say, “ideas are like noses, everyone has one.” I’m tired of people coming to me with a great idea or invention, but with no clue how to bring it fruition. Real genius is being able to execute ideas. Being an experienced, expert, exploratory “ideas person” isn’t good enough in today’s culture, and here’s why…. The trends clearly favor those with “breadth” and “depth”, as well as the tangible (execution) and intangible (exploration), implying having both a big-picture outlook and an attention to detail from being a practitioner. 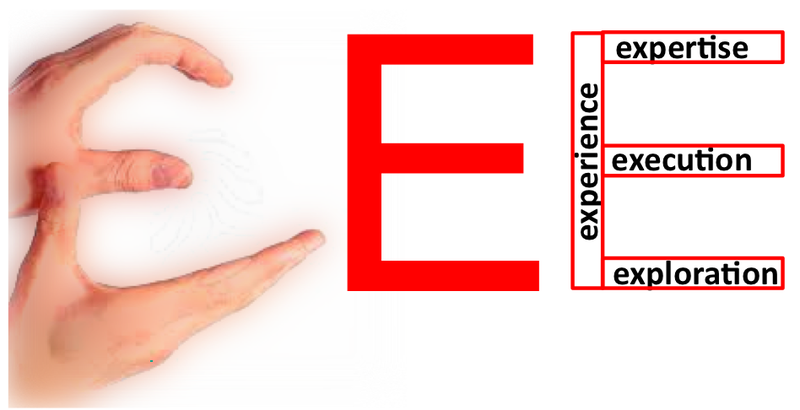 “E-Shaped People” have a combination of “4-E’s”: experience and expertise, exploration and execution. The last two traits – exploration and execution – are really necessary in the current and future economy. Exploration = curiosity. Innovation and creative problem solving is tied to one’s “curiosity quotient” (CQ). In this day and age of constant change (think: Moore’s Law), one’s CQ is more useful than one’s IQ or EQ. I foresee a greater emphasis on execution and exploration in business and human capital development. For example, even the most senior executives today are being asked to share examples of completed work in job interviews, such as decks, business plans, videos of speeches. Questions like, “please provide concrete examples of how you changed a business paradigm or innovated” are increasingly being used to sort candidates and determine their CQ. In this Big Data Era, metrics and measurement are also being used to “quantify” people’s creativity and innovationess (exploration), once thought to be subjective and qualitative. Specialize in something. Really be an expert in a topic. Be the “long-reads” version, not the Twitter version of the topic. Go deep. Amass diverse experiences. Try things. Go places. Absorb. Get out of your comfort zone (which builds new brain synapses). Draw on your diverse experiences to connect-the-dots in new ways… and even create new dots. Innovate. Ask “why is it done this way?” and then come up with a better way to do it. Use “what if…” in your thinking. Think out of the box. Break paradigms. Be a challenger. Produce. Produce. Produce. Have something to show for your efforts (a blog, a small business, a website, a blanket, a portfolio, etc.). Demonstrate that you can turn ideas into tangible deals. That you can move smoothly from brainstorms to building. Offer proof of your concepts and constructions. Be a maker, not just a thinker. People of America: Think “E-Shaped”, not “T-Shaped”. 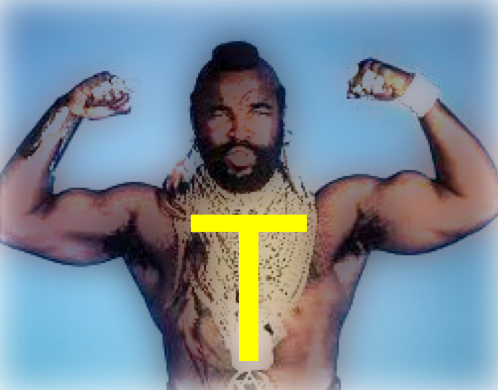 “T” is so yesterday, “E” is where it’s at today… and tomorrow.